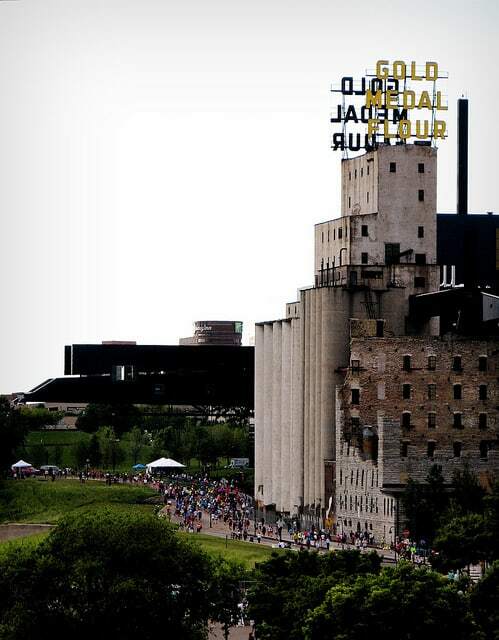 Set for its 9th annual running this year through the streets of Minneapolis, the Red, White & Boom! 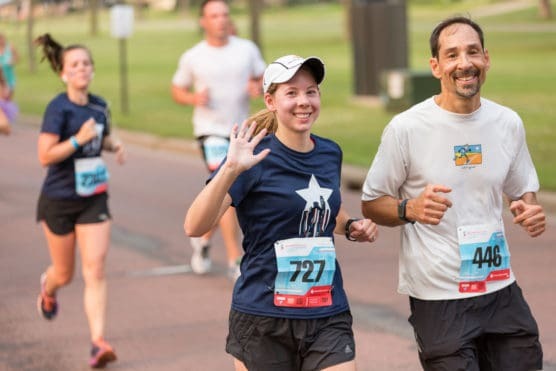 TC Half Marathon is organized by Twin Cities in Motion, whose other local events include October’s annual Twin Cities Marathon, the Medtronic TC 10-Mile and more than a dozen other races during the year. 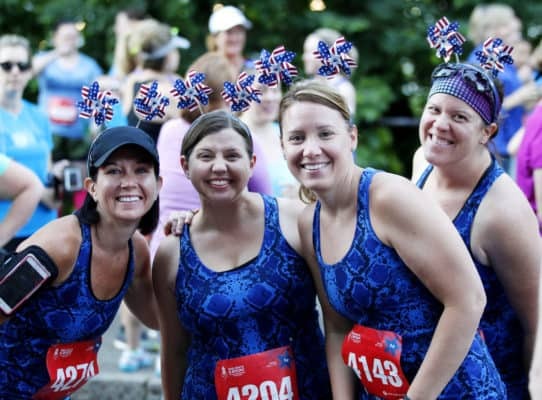 Celebrate the Fourth of July with a fun, family-friendly morning of races and activities! This race is perfect for first-time and experienced runners alike, with a fun post-race picnic full of summer festivities to follow. Limited to 3,200 runners, the Red, White & Boom! Half follows an out-and-back course that starts and finishes on Main Street Northeast near the Saint Anthony Falls and Father Hennepin Bluffs Park, which lies along the riverbank near the Mississippi National River and Recreation Area, a series of parks along the river that stretch more than 70 miles. From there, runners follow what is roughly a clockwise loop through the city, the first half of which is mostly flat terrain through the roads and park paths along the river. 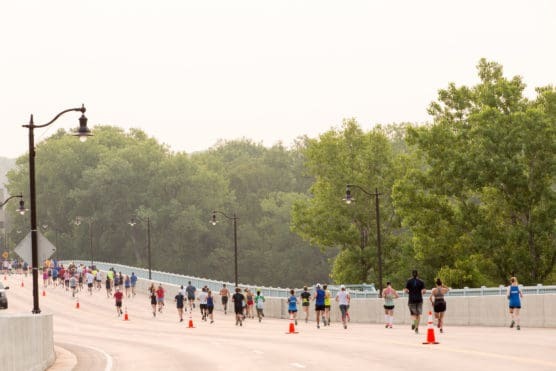 Once runners pass the mile 5 marker, they head onto the Saint Anthony Parkway and then eastward into the city, and encounter what is probably the most challenging stretch of the race between miles 6 and 8, where the course has its biggest uphill stretch. After runners hit the peak of the hill around Demming Park, the rest of the race route unfolds along a gradual downhill over the next few miles, which bring runners back towards the river and into the park areas (including a brief stretch over Nicolet Island, which lies in the middle of the river) before making its way back to the majestic, American flag-lined Stone Arch Bridge finish. Just under 2,300 runners crossed the finish line in the half marathon alone at the race’s 2016 running, as well as 175 two-person relay teams, the race for runners who don’t feel quite up to running 13.1 miles on their own but want to participate in the race. Nestled along the winding Mississippi River in the southeastern part of the state, the city of Minneapolis usually sees its warmest weather of the year in July — which has seen record temperatures as low as 43ºF (in 1972) and as high as 108ºF (in 1936) — and its summer months are also its wettest of the year on average. On race day (July 4), the average low is 64ºF and the average high is 83ºF. See the race route map for the Red, White & Boom! TC Half Marathon here. To reserve your spot in the summer 2019 running of Minneapolis’s Red, White & Boom! TC Half Marathon or 2-person relay, register online at the race website here. Ever run in the Red, White & Boom TC Half? Share your impressions here, or post your review in the Comments below.